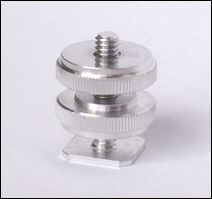 Method 1: You can mount the Firestore Cradle by using the supplied 1/4-20 screw and backing washer through a 1/4" hole in the Bracket as shown in photo 1 and 2. 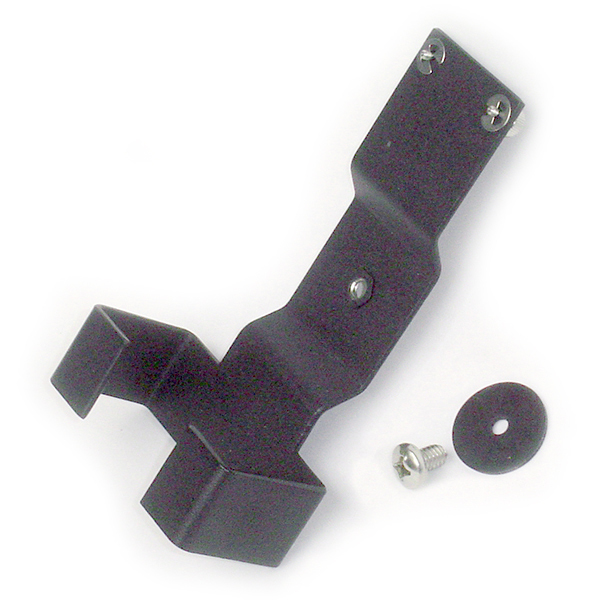 Method 2: You can mount the Firestore Cradle on any cold shoe by adding either the "Cold Shoe Threaded Adapter" or the "Universal Swivel Mount" as shown in pictures 3 and 4 respectively. 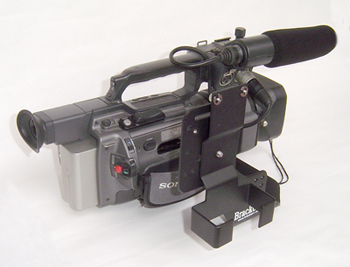 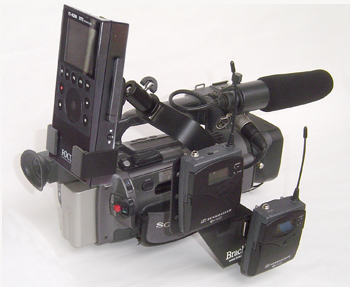 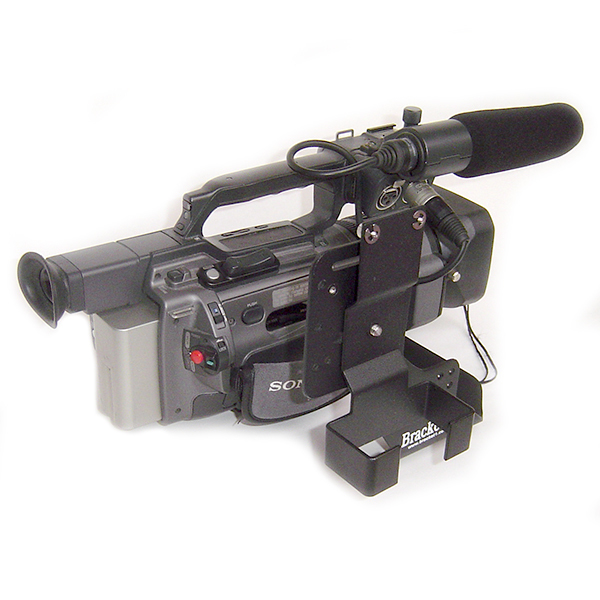 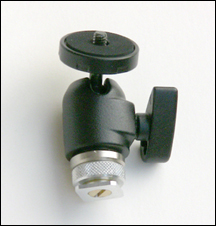 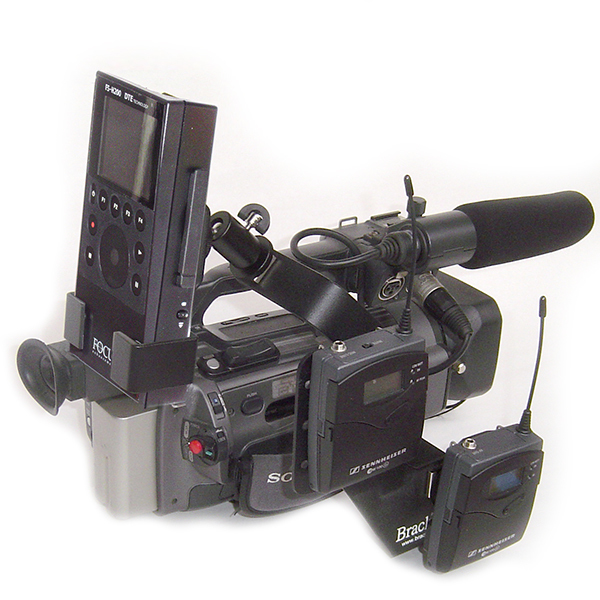 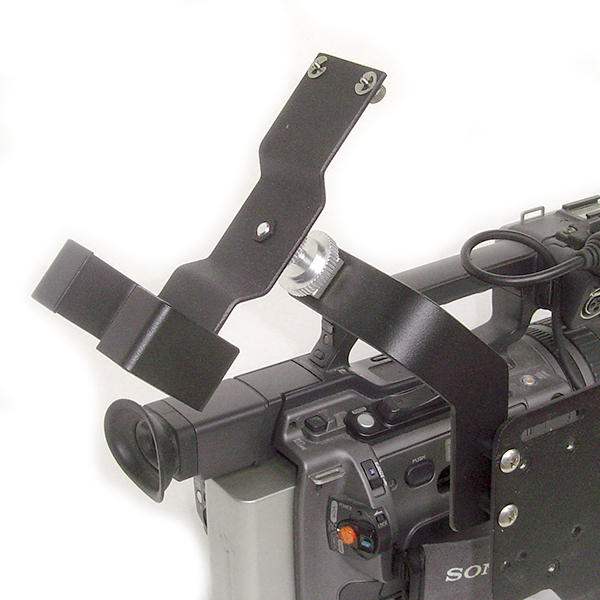 These photos show the assembly mounted in the "Over Camera Cold Shoe-M" which is a heavy duty bracket adapter designed for the weight of an LCD monitor or hard disk video or audio recorder. 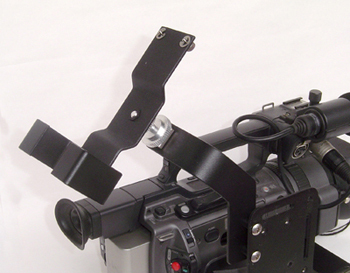 The Over Camera Cold Shoe can attach to any of our under-camera mounting brackets such as this Bracket 1 HD2.